TX House of Hotrods is NOW HIRING a Parts Coordinator for our Mansfield, TX location. Apply Today! 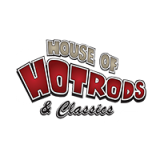 From Old School to New School, mild to wild, there is only one name to remember when it comes to building a custom street rod, rat rod, or Hot Rod: House of Hotrods & Classics. Verify and distribute parts in a timely, accurate and efficient manner, which allows teammates to complete repairs in a timely manner. Check in, tag and distribute parts immediately upon receipt. Return and/or re-order incorrect or damaged parts. Track incomplete order status (outstanding orders, backorders, and credits) and follow up as necessary. Complete parts “hot runs” as necessary. Comply with all safety rules, guidelines and standards. Research and price parts and assist with writing estimates. Must have a valid driver’s license and insurance. Effectively communicate with others, oral and written. Read and understand instructions, written estimates and work orders. Multi-Tasking; Adapts easily to a fast-paced environment. General Parts Knowledge: Pre-1988 Hot Rods and Classic Cars. Ability to sit, stand, push/pull, stop, kneel, crouch, reach or crawl frequently. APPLY TODAY TO JOIN OUR AMAZING TEAM!